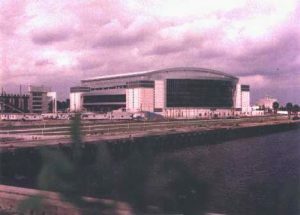 22.5.1998– Before the concert we go to Miami Downtown to the Hardrock Cafe. To the delight of the fans they play a lot of Zep music. 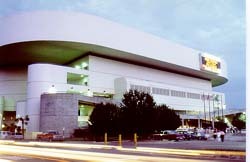 In the Miami Arena (packed with 17000 fans) we see the wildest crowd of our little tour. Review: As mentioned, the wildest crowd though not the best concert. But still brilliant. In the morning of the 23.5.1998 we drive the long way to Jacksonville (the home of Molly Hatchet). 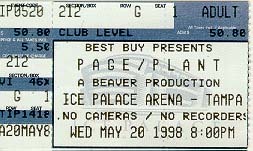 20.5.1998 – Tampa – at the Best Western we meet Peter and Pat and drive Downtown to the huge Ice Palace. Ticket TampaWe sell our spare ticket and walk over to the bar nearby where a live band is playing. There are 14000-15000 people at the concert. Setlist: Eastern intro, Wanton Song, Bring it on Home, Heartbreaker, Ramble On, Walking Into Clarksdale, No Quarter, When I Was A Child, Going To California, Tangerine, Gallows Pole, Burning Up, Babe I’m Gonna Leave You, How Many More Times w/ We’re Gonna Groove, Most High, Whole Lotta Love. Encores: Thank You, Rock and Roll. Review: Musically for me this was the best one. The band was relly on. The crowd was much more enthusiastic than in Pensacola. But not to wild. 21.5.1998 – Our day off. We visit some relatives and drive on to Naples where we stay at the Best Western. 22.5.1998 – In Everglade City we make a swamp tour and see a Manatee. In Miami we stay at the Holiday Inn. 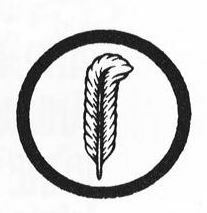 17.5.1998 – Frankfurt – we enter the plane that will bring us to Tallahassee with a short stop in Atlanta. There we stay at the Days Inn. 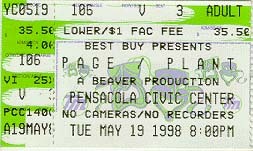 18.5.1998 – After a short trip to Wakulla Springs we drive to Pensacola and take a closer look at the arena, the Civic Center. We stay at the Motel 6.
Review: A very nice athmosphere at the Civic Center. The crowd is very pleased to see the guys. This is the right place for the first gig of a big tour. Is this where Klinsmann is playing now? Having the best weather we attend a wonderfull two day Open Air concert with many top acts. Review: Yesterday I saw P&P in Munich. And as the two concerts before it was a very good concert. But in my opinion the best German concert was the one at Lüneberg. They played as the last band before Elton John. Because of the very fine weather they were in a very good mood. Plant wore short trousers and Jimmy played in a white T shirt. Again they left the stage without playing an encore through the crowd was really wanting it. I think that is not okay. Because in Schwalmstadt and Munich they were really well accepted and the crowd wanted more!!! Nevertheless it was a great gig again and I hope they will keep playing on together after the tour. Funny to see was how the band left the Olympic Stadium. Robert and Jimmy drove with a VW van while Nigel Eaton had to ride a moped! Review: They started at 6pm. Percy was in a very good mood. He was joking all the time. They left the stage again without an encore. But it was a great concert again. The crowd was really wild on them. 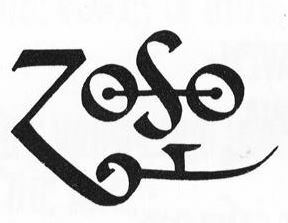 There were more Zep fans in the audience than last week. Pagey did not play as good as in Lüneberg, but he was still brilliant. Two girls were dancing very wild on the edge of the stage and Jimmy was always looking at them. So Robert invited them to come on stage and dance there. Jimmy nearly forgot to play and so Robert made some jokes on him. They had a lot of fun on stage and Robert said at the end that this was a good day. And it really was! Setlist: Immigrant/Wanton Song, Heartbreaker, Thank You, Whole Lotta Love with Theramin, No Quarter, Gallows pole, Hurdy Gurdy Solo, Yallah, Since I’ve Been Lovin You, The Song Remains The Same, Friends, Calling To You / Were Gonna Groove / When The Levee Breaks / Dazed & Confused / Break On Through, Four Sticks, In The Evening / Carouselambra. Review: I saw the Plant and Page concert in Lüneberg on Sunday the 18th June. It was a really great concert. Page was in top form. He played like hell. They started with the first chords of „Immigrant Song“ and went into „Wanton Song“. After that came „Thank You“. After that was a great version of „Whole Lotta Love“. The best song in my opinion was „Since I’ve Been Lovin You“ with two great page solos. „Yallah“ was played with the Egyptian ensemble live on stage. A great moment. They finished their set with „In The Evening“ and there was no encore. Totally Impressed. The Scorpions on their Crazy World Tour. The concert could have been a bit louder! Klaus Meine was very talkative but was very hard to understand in the back of the area. 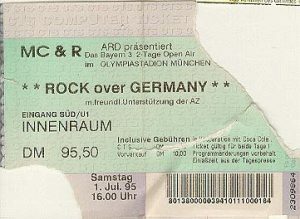 The concert in the Schleyerhalle on their Goodbye Tour was much better than this one. 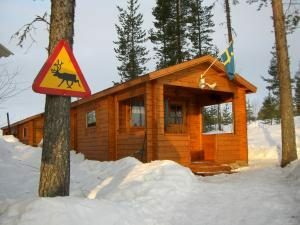 Wir stehen um 5 Uhr auf und erreichen mit Müh und Not unseren Flieger, der um 8.30 Uhr ab Stuttgart über Hannover nach Arvidsjaur in Schwedisch Lappland fliegen soll. Drei Zentimeter Schnee bedeuten in Deutschland eben schon Schneechaos. Danach sitzen wir eine weitere Stunde im Flieger und warten auf die Enteisung der Maschine, bevor es dann losgeht. 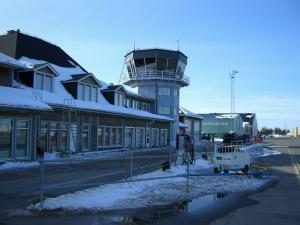 So erreichen wir mit eineinhalb Stunden Verspätung den gemütlichen Flughafen von Arvidsjaur, wo uns Pascal schon erwartet und wir auch Torsten und Oliver kennenlernen, die mit uns die Weekend Tour machen werden. Mit dem Jeep fahren wir 130 Kilometer (ohne Ampel und mit nur 4 mal abbiegen) Husky & Adventure Wilderness Lodge Juktan, wo uns schon Moni und natürlich die vielen Huskys (+ 3 Schäferhunde) erwarten. Wir beziehen unsere Hütten, heizen dort schon mal vor und lernen dann die Hunde kennen, die uns in den nächsten knapp drei Tagen so sehr ans Herz wachsen werden.Danach gibt es im Eßzimmer von Moni und Pascal ein leckeres Abendessen und die ersten Einweisungen und Informationen. Nach dem Abendessen zeigt uns Pascal noch wie wir am nächsten Tag die Schlitten herrichten müssen und wir lernen (dem gutmütigen Blacky sei Dank) wie man den Hunden das Geschirr anlegt. Wir haben auch das Glück das Phänomen des Polarlichtes live zu erleben. Danach geht es ziemlich müde ins Bett.